For the second time in three years an Irish project has been the overall winner of the Galvanizing Awards. These awards are organised by the Galvanizers Association and are open to entries from projects in both the UK and Ireland. 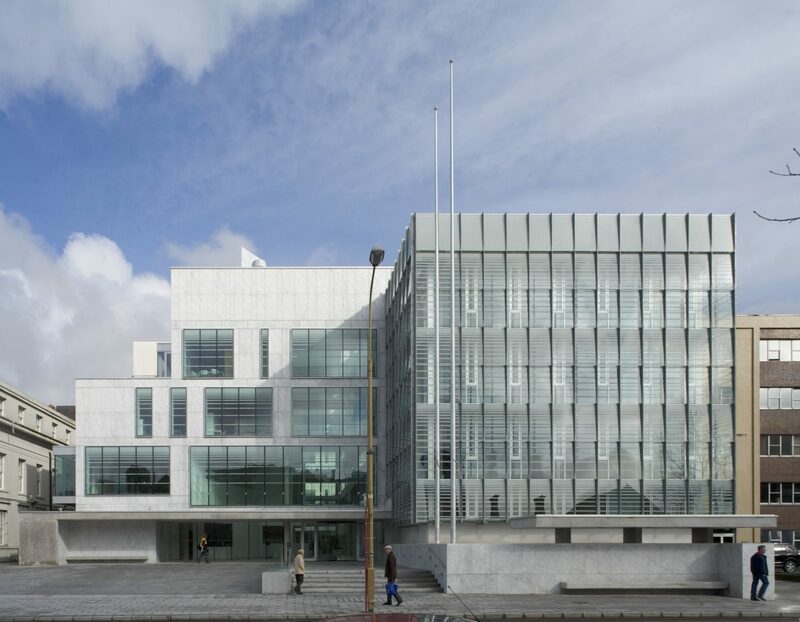 Like the previous winner from 2006 the Glucksman Gallery in UCC (see pg 16, 17), this project is a major public building in Cork City and is an appropriate continuation of Cork’s previous role as European City of Culture. to create a good working environment. Free heating and cooling are provided using a geothermal heating system to gently heat or cool all levels of the building in winter or summer and the double façade generates a microclimate allowing staff to open perimeter windows during the coldest months. The building is wrapped in a double façade which modifies light and air for the internal environment. The outer screen is constructed of a fine lattice of galvanized steel flats suspended from cantilevered galvanized steel trusses. Glass sheets are fitted with a solar control pattern and clamped by steel beads to form a light elegant façade to the building. John Parker of ABK chose hot dip galvanized steel as he believed its strong colour and texture offset the glass better than the more refined palette of stainless steel or aluminium would. “We were looking for something more tactile and attractive. 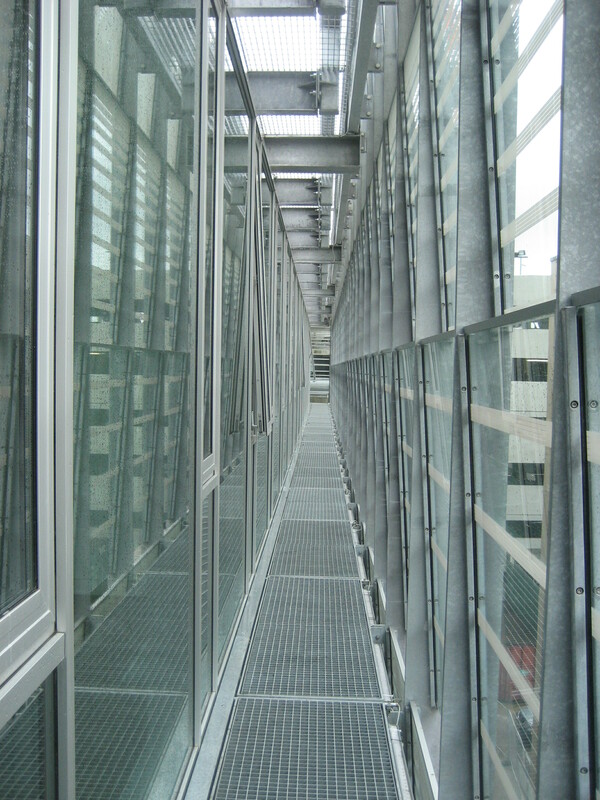 Galvanizing provided the perfect marriage of aesthetics, performance and cost effectiveness”. Main Contractor: Cleary Doyle Contracting Ltd.